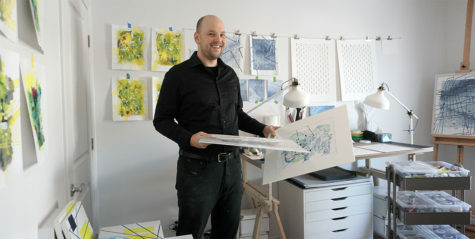 Editor-in-chief Sofia Misenheimer summarizes “the goal of this issue is twofold: to remind you that you’re not alone in your struggles and to offer accessible ways to jumpstart your own path to healing through engagement with the arts.” (2) It also looks at healing as an art form in and of itself. I submitted my Tokenized Cloud Sphere series in which I recreate my meditative experience of observing clouds on hundreds of passenger flights during the past few years. In times where our attention span is measured in seconds and digital stress becomes a widespread issue, watching clouds not only offers comforting relaxation but also sparks one’s imagination. My visualizations aim to slow down the observer and to experience this calm. I will post more about the series in an upcoming blog post. 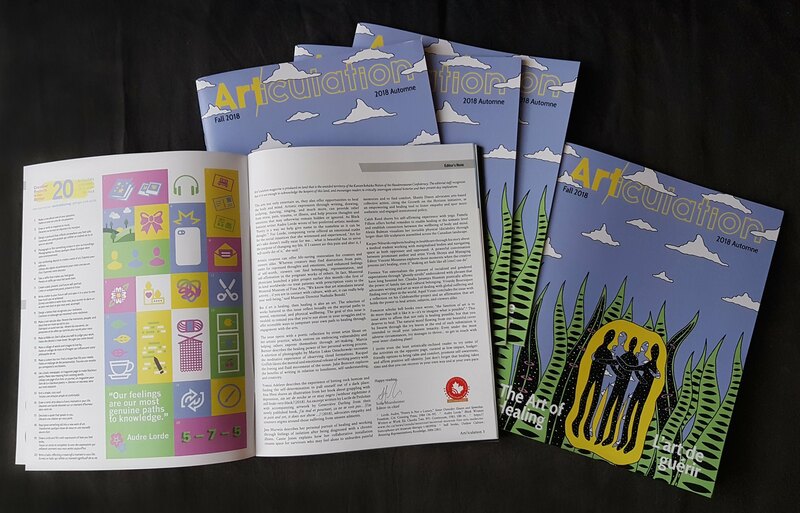 Art/iculation magazine is a finalist of the 2018 Canadian Online Publishing Awards in the category Best Publication – Academic. Editor-in-chief Sofia Misenheimer’s was recently interviewed for McGill University’s Faculty of Arts blog: On Inclusive Publishing with Student-Run Magazine, Art/iculation (3). Art/iculation is an interdisciplinary print and digital magazine that aims to challenge mainstream notions of ‘culture,’ by spotlighting un(der)represented topics of cultural significance. The magazine takes its name from “The theory and method of articulation in cultural studies” by Jennifer Daryl Slack, who argues “articulation can be understood as a way of characterizing a social formation without falling into the twin traps of reductionism and essentialism”. This captures the spirit of Art/iculation, which aims to make space for nuanced works from a variety of perspectives. Art/iculation is produced on land that is the unceded territory of the Kanien’kehá:ka Nation of the Haudenosaunee Confederacy. The editorial committee recognizes that it is not enough to acknowledge the keepers of this land and encourages readers to critically interrogate colonial histories and their present-day implications. The editorial committee embraces an intersectional and collaborative practice of feminism.